The Smurfs was one of my favorite childhood cartoon. I just found out that the mythical blue creatures originated from Belgium, a place that is dear to my heart. My five year old self could only dream that one day I would go to land where the cool blue people were created. 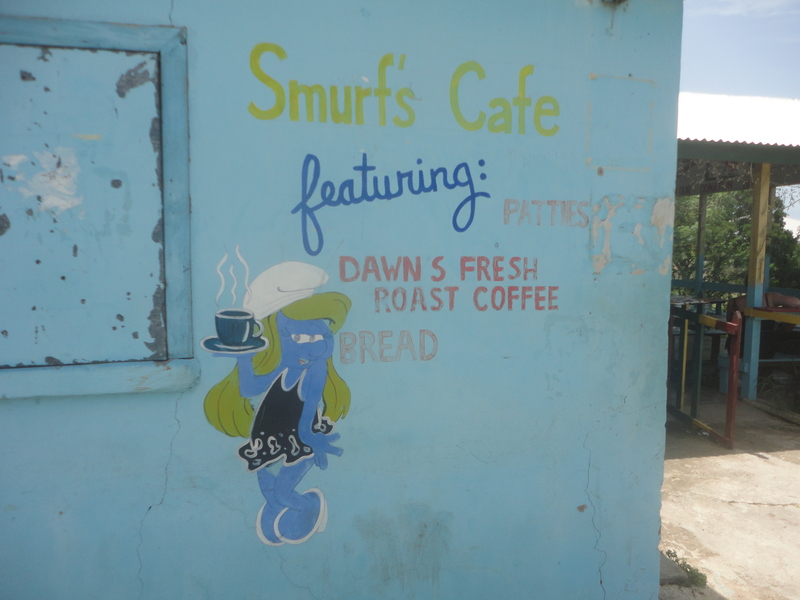 On a recent trip to Treasure Beach with my friend, I was amused to find a charming little breakfast joint called Smurfs Cafe. Apparently I was not the only fan of the animated series. There was nothing particularly fancy about the Cafe but it had a homely and personal feel that larger establishments lack. You know the kind of place where they would know your name and your usual order. The patrons we spoke to were regulars. 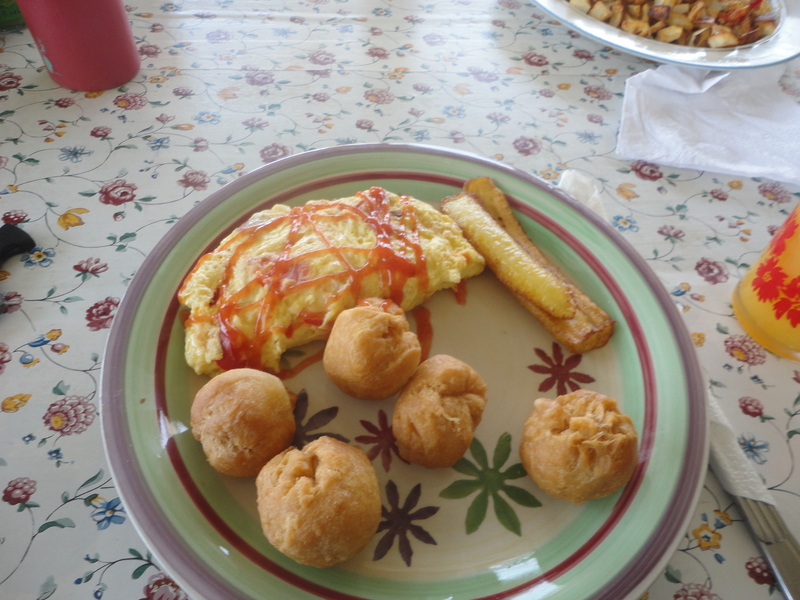 They specialize in a variety of omelettes, which you can customize to your liking along with side orders of your choice. 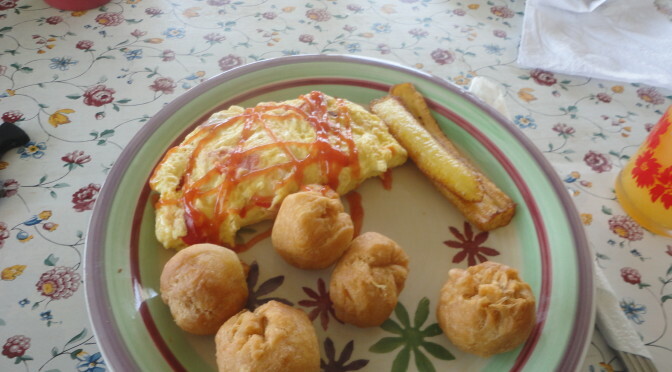 Yummy fried dumplings, pancakes , hash browns or french toast with my personal favorite, ripe plantains. Wash down with tea, freshly squeezed orange juice or aromatic coffee grown, roasted and brewed on location. Can you tell that I enjoyed my meal? 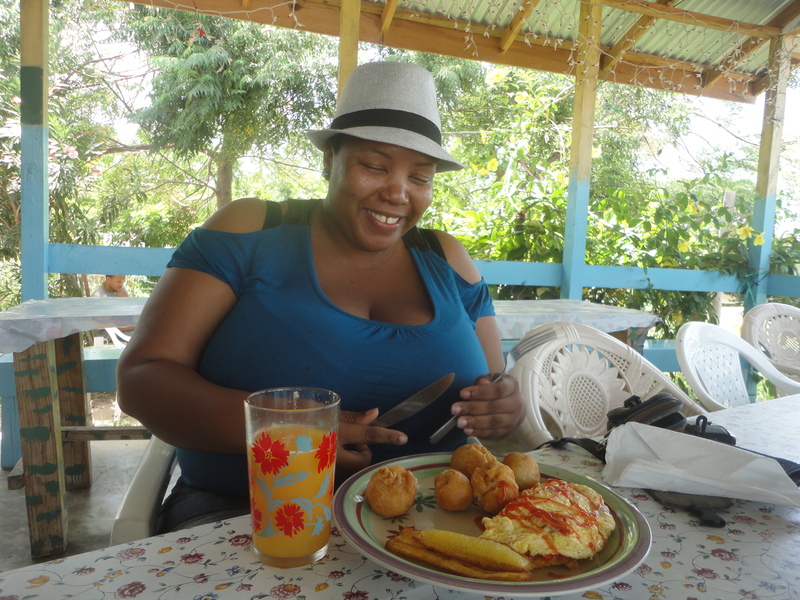 All you lovers of the off the beaten path ,it doesn’t get more off than South , St. Elizabeth. 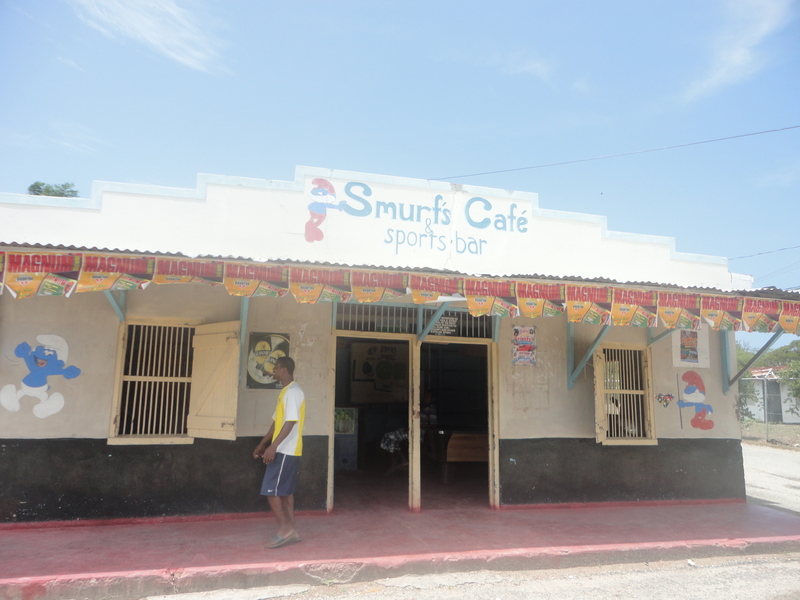 Check out Smurfs facebook page .I doubt you’ll find a number but you can call if you get lost or can’t find the mango tree right where the goats gather. The lack of proper directions sounds like my experience in Costa Rica. Very hard to find places are my kind of places. Previous Previous post: Seeking the Real Jamaica? Look No Further Than Public Transport. Next Next post: Let’s Save Winnifred Beach !